The Columbia StrEAT Food Truck Fest in New Westminster takes place on Saturday, August 10, 2013 with over a dozen of Metro Vancouver’s favourite food trucks serving up their delicious fare. Leading up to the event you can enter to win “truck bucks” as $240 are available through the Burnaby News Leader. Follow the Facebook event for updates leading up to the festival. 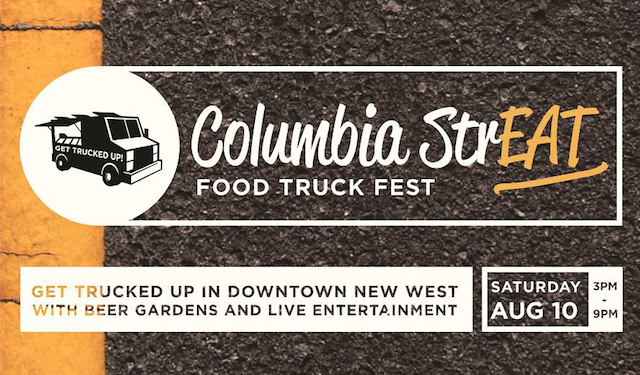 The Columbia StrEAT Food Truck Fest is made possible thanks to the support of The Salient Group (Trapp+Holbrook Living) and the City of New Westminster. We were proud to have been a key builder in the Dougie Dog food truck, and we’re excited to have them represent this event! Looking at all the different varieties of cuisine we’ll have there, should be a flavour for everyone!